If you've had recent roach sightings, grab an effective insecticide or try some of these home-brewed tactics for getting those pests out of your house. You’re not alone in wanting to get rid of cockroaches. These creepy-crawly insects are a major problem around the country—around the world, even—particularly in dense urban areas. Because they are fond of heat and humidity, they’re most likely to be found in the kitchen and bathrooms. And if you see one, chances are there are many more lurking out of sight. Calling the exterminator may be your first reaction, but you can save money by following the steps below to get rid of those unwelcome visitors. The next time you see a cockroach, resist the temptation to run away. Instead, screw up your courage and follow the roach to determine how the insect may have found its way into your home. Common entry points are areas around windows; at the joints between walls and floors; where cabinets meet the wall; near radiators and heating pipes; and in gaps around gas or water lines. Seal every hole or crack you come across with silicone caulk. To eliminate the cockroaches that are living in your midst—the ones under the stove or behind the refrigerator—you have several weapons at your disposal. The most obvious is to use an insecticide, be it a gel, powder, or bait trap. Countless such products exist on the market; choose one formulated specifically for cockroaches. 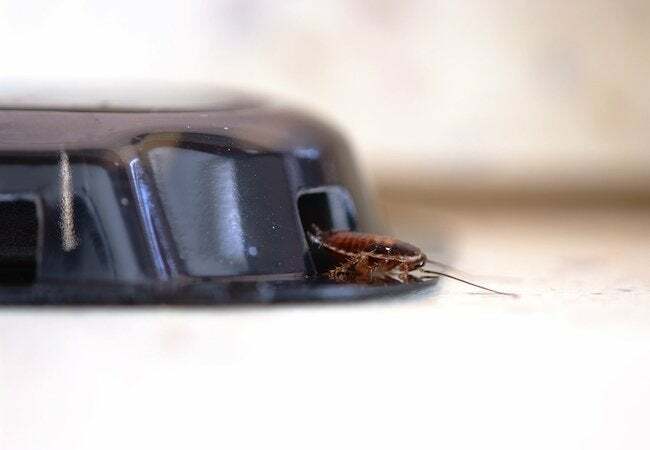 Apply your choice wherever roaches love to hide, but remember to keep your pets and children away from these often toxic treatments. If you prefer, you can concoct a homemade cockroach killer from some common household products and boric acid, which is readily available at your local pharmacy. Mix equal parts boric acid (which kills the insects), sugar (which attracts the insects), and flour (which binds the ingredients), laying down a thin coating of the powdered blend wherever you suspect roaches are hiding. Yet another way to lure and kill roaches is with beer. Cut the top off a plastic soda bottle, pour a little beer into the bottom of the container, and then place the top of the bottle upside down into the base so its neck serves as a funnel. Roaches enter the trap in pursuit of the beer but then, unable to escape, they ultimately drown. Once you’ve successfully used the beer trap to claim a few victims, you can dispose of the whole thing without ever having to touch the bugs directly. Great! Roaches are nothing if not persistent; it may be necessary to keep up your campaign for as long as several weeks. 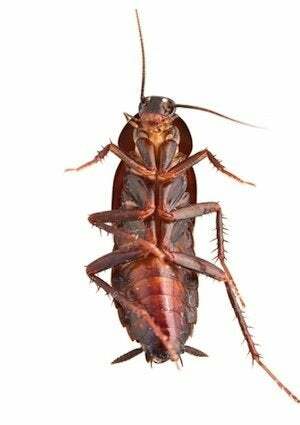 Once you’re confident that your home is roach-free, help keep it that way by maintaining the highest possible level of cleanliness in your bathrooms and especially in the kitchen. Keep food in sealed packages and take out the trash regularly. Clean up immediately after eating or cooking. With a little luck, the infestation won’t recur. Now that you’ve gotten rid of cockroaches, it’s time to tackle other household pests. Check out this video on common mistakes that invite bugs into your home.